This book introduces readers to the ancient rhetorical tradition by investigating key questions about the origins, nature and importance of rhetoric. Considers the role of rhetoric since the end of antiquity. Includes a glossary of proper names and technical terms; a chronological table of political events, authors, orators, and rhetorical works; and suggestions for further reading. 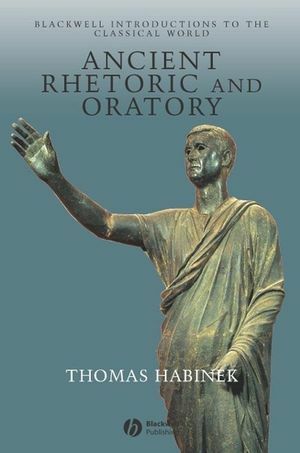 Thomas Habinek is Professor of Classics at the University of Southern California. He is the author of The Politics of Latin Literature: Writing, Identity, and Empire (1998) and the editor of The Roman Cultural Revolution (1997). I Rhetoric and the State. II The Figure of The Orator. III The Craft of Rhetoric. V The Afterlife of Rhetoric. A Brief Outline of Ancient Rhetoric. An introduction to the ancient rhetorical tradition.